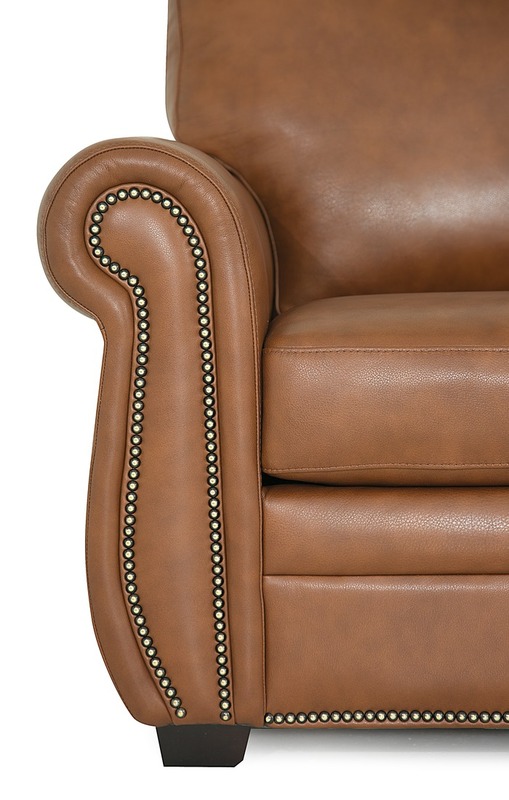 A sophisticated bronze nail head comes standard with this design and adds a beautiful touch to the profile of this style, outlining the classic roll arms and the base of the frame. A tapered wood leg in a rich espresso finish further complement the design. T-shaped back cushions extend over the arm rests, creating a comfortable nook to curl up in . A soft, yet supportive foam seat provides superior comfort with longevity. 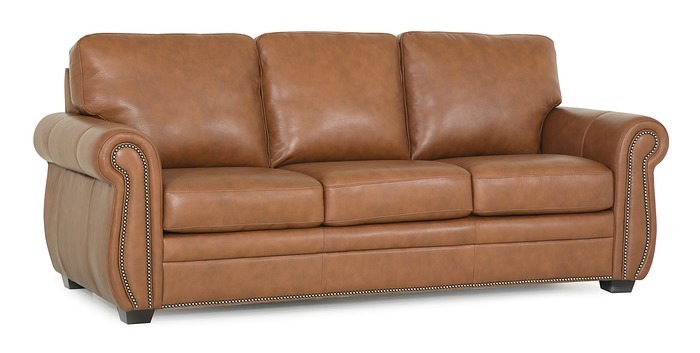 The Hacienda Sofa is available in many form factors, including chaise and love seat. See the loveseat and chair in related products. 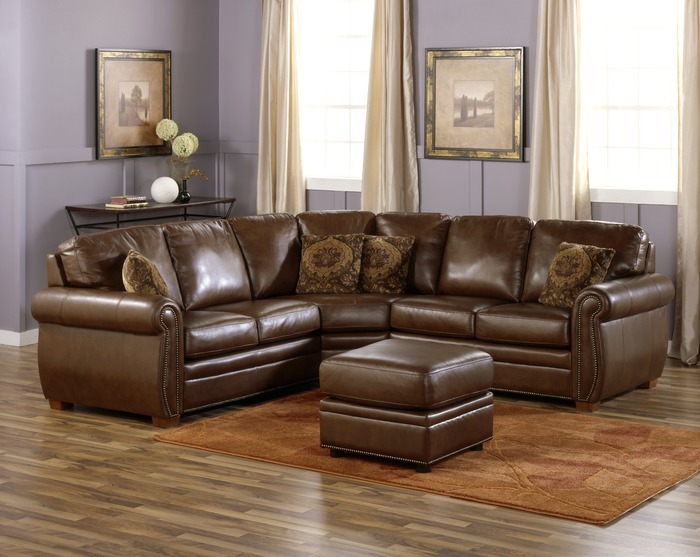 Ask us about sectional configurations. Price listed is for fabric. We offer dozens of fabric choices including performance and microfibre options. Many will believe this piece must have leather. Leather is available -- again with many selections to choose from. 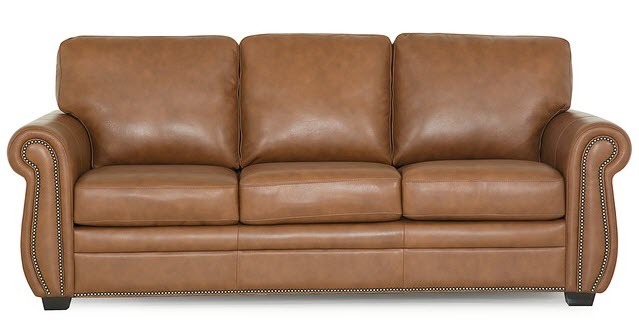 Also consider our leather 'match' configuration which using real leather for the cushions and matching faux leather for the back and sides.